Bijan Rademacher is lighting it up right now, here is video of his second homer of the night, a three run bomb. 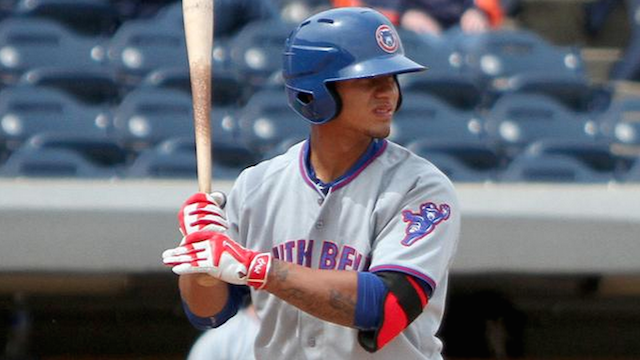 Gleyber Torres has struggled for much of 2016 which isn’t entirely surprising for a 19 year old, but last night he showed why he’s such an exciting prospect by blasting an opposite field dinger. Daniel Lockhart makes a tremendous play. Matt Rose cracks his first homer of the season. Paul Blackburn put up nothing but zeroes last night. Ian Happ destroys home run number one on the evening. Ian Happ does it again, opposite field no less, quite the night for one of the Cubs’ top prospects.